I was gathering up printed materials for clients over the passed year and decided to post it all as one. After working in the digital ether for most of my days, it's a welcome change when a client comes to me with a print project. Seeing the ink on paper and holding the finished product in our hands lets us experience how our designs fit in the physical world. I have more print jobs happening at the moment, but hopefully it won't be another year before they see themselves featured in the halls of CFC. Hi Amy! good question, i'm always presented with a dilemma when i have a printing job. so many options. 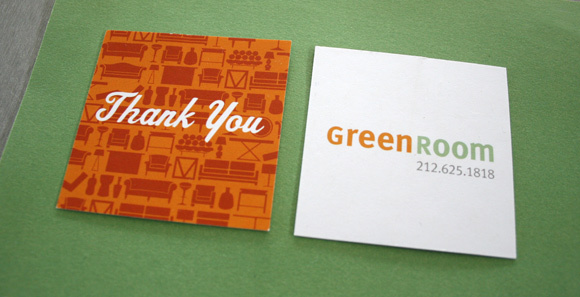 it's usually a matter of price though, GreenerPrinter has the advantage of offering green features as standard. Though PrintingForLess isn't lacking in that department. PFL also came out with a new sample pack-totally redesigned and well stocked. If you haven't ordered one, it's worth it if you are really considering them. Both printers handle output well... i've used them for business cards, envelopes and stationary. 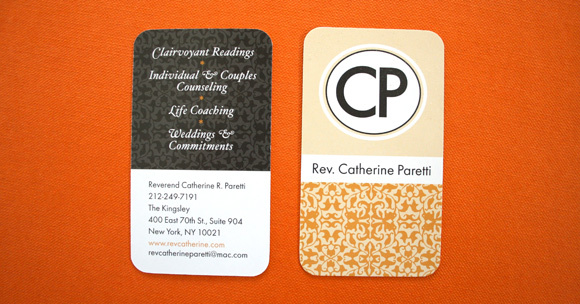 Greenerprinter has a really nice thick card stock as standard for the business cards, and some unusual shapes. 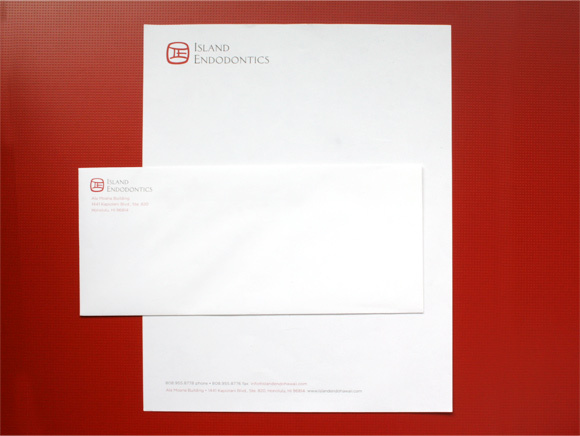 I just had PTL print the stationary and envelope for Leonard's Bakery and they came out nice... same paper for both the envelope and stationary. 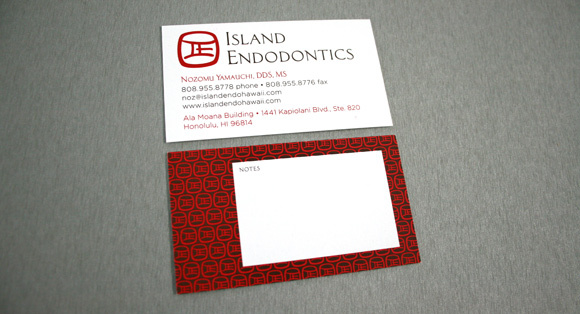 nice, sturdy bond, matte, and bright. and they gave me a good deal since i've ordered from them before. They have excellent customer service and offer deals like get 500 business cards free when you order envelopes and stationary. 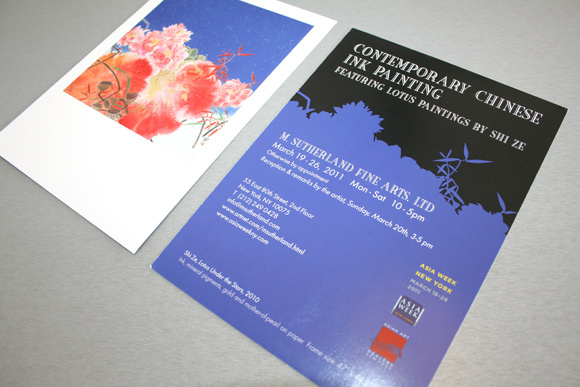 Both companies produced excellent printing quality--from PMS Spots to 4color. For the stationary paper, i prefer PTL because it's beefier with a smoother finish. GP had more organic feeling paper--thinner and slightly rougher in surface finish. I have a card printed at OvernightPrints and comparing the OP card to the other two, i'd have to say there's very little difference in printing quality. But you forgo any "green" features with OvernightPrints, i think, right? Mahalo, John. My very thorough sample pack from printingforless just arrived - and I'm ordering 500 notecards on their recycled stock. They asked who recommended them and I put your name. Hopefully you get something fun - coupon code? wheee! - in return. Happy weekend to you.